Historically the Black Hills region was home to Arapaho, Cheyenne, and Lakota Sioux Indian tribes. Gold prospecting and settlement of this area in the mid 1870s generated disputes among the Native Americans and the newcomers. These conflicts prompted the government to establish a military post situated at a strategic point in the region. In 1878, two years after the infamous Battle at Little Bighorn, Camp Ruhlen was founded as a frontier peacekeeping camp and the headquarters of the U.S. 7th Cavalry. Established at the foot of the 1,200-foot geological formation called Bear Butte, Ruhlen’s mission was to also serve as a construction camp for the new fort being built there. The new fort, Fort Meade, was named for Civil War hero General George Meade. Several civilian settlements developed to the west of the fort with the purpose of parting the soldiers from their pay. 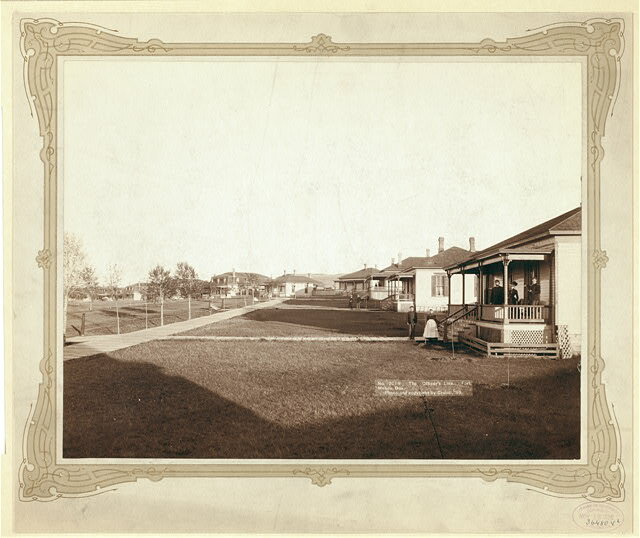 The camp called Sturgis was the survivor, named for Camp Ruhlen’s Seventh Cavalry commander Colonel Samuel Sturgis. The fort and the town grew together into the 20th century. Sturgis developed into a business community that served the nearby fort and agricultural concerns. Over one million dollars were spent at the Fort during the first decade of the 20th century to improve the facilities and grounds. During the course of the Fort’s history, troops based there played a part in the infamous Wounded Knee Massacre, imprisonment of Ute tribal members during an uprising, and was home to special units in both World Wars. The Fort was also the birthplace of the custom of playing the Star Spangled Banner at military functions beginning in the early 1900s. After the Fort Meade custom was publicized in the early years of the twentieth century President Woodrow Wilson made it mandatory in 1916. Congress designated it as the National Anthem in 1931. The last cavalry unit left the Fort in 1943. Fort Meade was formally deactivated in 1944, and was then turned over to the Veteran’s Administration (VA) for use as a hospital, a process completed in 1947. In addition, a number of German prisoners of war were housed at the Fort from November until January of 1946. The VA extensively remodeled the facility again in the mid-1960s. The Fort Meade Museum provides one of the most colorful and complete historical accounts of the early military and frontier era. The annual Cavalry Days celebration is held at the Fort during the first full weekend in June. Seven of the buildings constructed in the 1880’s are still standing on the grounds. The Fort Meade Medical Center is located on the original grounds, as well as the South Dakota Military Academy’s officer training school, and offices and training facilities for the South Dakota National Guard. In addition to the historical site, the Fort Meade Scenic Byway begins at the intersection with SD 34 and travels south to I-90. The byway is a short five-mile route that follows Fort Meade Road, which is a two-lane gravel road suitable for all vehicles. The byway is open year-round. Camping sites and hiking trails complement this historic area.